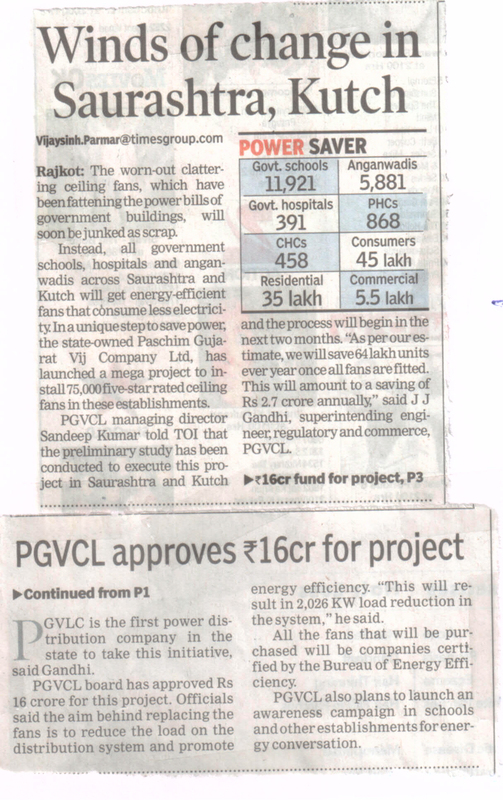 PGVCL Petition for True Up for FY 2017-18, Mid-Term Review of ARR for FY 2019-20 to FY 2020-21 and Determination of Tariff for FY 2019 - 20" - Petition no. 1762 /2018"
EOI for Empanelment of agencies for Design, Supply, Installation, Testing, Commissioning and Comprehensive Maintenance for 7 years of Distributed Grid-connected Solar PV plants of Capacity 5 kW (AC) to 150 kW (AC) for providing of Solar PV System to Agricultural Consumers on various Agriculture Feeders within the jurisdiction of DGVCL, MGVCL, UGVCL and PGVCL. નવા એચ.ટી.-એલ.ટી.એમ.ડી. ઔધોગિક વીજ જોડાણ માટે ઈન્વેસ્ટર ફેસીલીટેશન પોર્ટલ (આઈ.એફ.પી.) https://ifp.gujarat.gov.in/DIGIGOV/ મારફત જ અરજી કરવાની રહેશે. NEW HT-LT MD INDUSTRIAL APPLICANTS SHALL HAVE TO APPLY THROUGH INVESTOR’S FACILITATION PORTAL (IFP) https://ifp.gujarat.gov.in/DIGIGOV/ ONLY. સૌર ઉર્જા સંચાલિત પંપસેટના સમારકામ માટે કંપની વાર સર્વિસ સેન્ટર ની યાદી. Application Change of Name Change of Load Agriculture Reconnection Line Shifting New Complaint Complaint Status Permanent Disconnection Required Documents F.A.Q.